fprintf(stderr, "Cannot enable large pages on this system\n"
N.b. *, rebalancing mechanism will be discussed later when we have a better understanding of the LRU module. 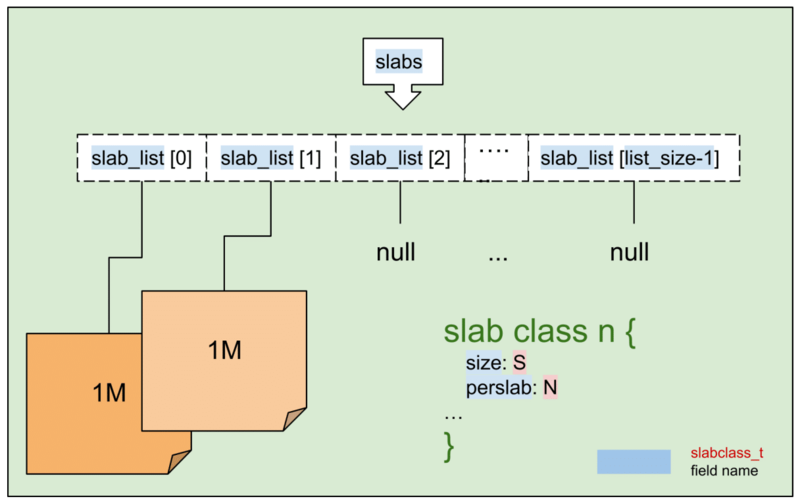 7) 将刚刚分配的 slab 加入到 slabclass_t.slab_list. confused by non-intuitive "SERVER_ERROR out of memory"
fprintf(stderr, "Error while preallocating slab memory!\n"
"If using -L or other prealloc options, max memory must be "